Sometimes life can be unbearable without taking loans to bail one out of financial constraints. From buying a new home, buying prime property, paying school fees to doing other things, debts are like fire. They can help you survive through the wildest moments in your life, yet, can also consume your confidence and conscience bit by bit. The bottom line is that every business person or a trader will at some point apply for a loan to offset a deficit in the balance sheet, and with the help of academic term papers services, it is easy to come up with a comprehensive paperwork for such a request. A debt is money owed to someone, an agency, bank or company. As aforementioned, people borrow money for different reasons such as buying a home or financing their mortgages. Such are consumer debts, and can be the most difficult to pay back. There is also investment debt, which comes in form of money for college fees and asset financing. Another type is credit/debit card debt or bad debts and is often going to return less or no value at all. You use credit card debt to buy consumer goods, which are either perishable or will lose value (depreciate) over time. According to financial experts, one ought to start paying off these debts or loans as soon as possible because they often come with huge accruing interest rates over repayment period. Even if you choose to file for bankruptcy with a relevant attorney, the cons that come with it usually outweigh the pros. 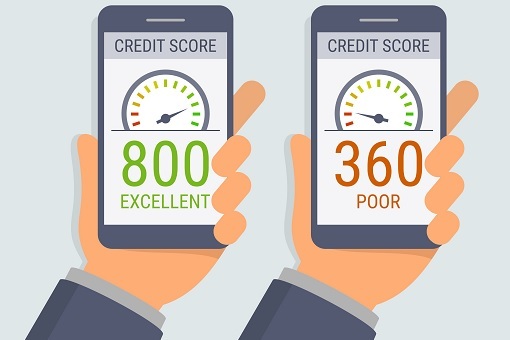 For instance, your details will be visible in FICO credit report for up to ten years, which means, one wouldn’t be able to access credit from financial institutions due to poor credit score. Thus, the question is; how do you start repaying loans to leverage one’s self above an ever tightening noose that comes with owing people and banks money? Well, for US citizens, the National Foundation Credit Counselling can help you map out a path to debt relief, but when it comes to repayment, take a look at the next sections for a comprehensive guide and expert tips. Borrowing money is easy, but without a guide on how to pay back those you owe, debts will not only ruin a good relationship with people but also get you blacklisted by credit reference bureaus. Thus, if you want to remain in good books of lenders/creditors, the following are debt repayment guide you should have at fingertips. It is as easy as inquiring about thesis editing rates. The first step towards loan repayment is preparing a list of creditors. Whether it is student loan, mortgage, car loan, money borrowed from friends, it is imperative to know who is who in your list, how much you owe them, amount of interest and deadline for repayment. Every Creditor will at some point in time come fuming asking for their money back. The question is; what is the liquidity ratio of your business and to whom do you pay first? Well, opinions vary in this, but, by ranking loans from highest to lowest amount or the other way round, one gains a repayment momentum as soon as they are done with the first creditor. Now, it is time figure out from where the money for repaying loans will come. While sticking within a budget may help offset a few creditors because you can save a few bucks, a repayment plan should also include taking up a part time job, selling off unnecessary items, and using tax bonuses. For a student stuck with college loan, a repayment plan should factor in amnesties that lending agencies give to debtors once in a while. Being able to pay a huge debt once and for all without interest sounds good, but be sure to work with authentic Debt Consolidation and Relief Company when working out a repayment plan. While you can start making minimum remittances towards settling other items in your debt list, there is great relief in clearing with one creditor at a time. It helps you reclaim peace of mind when moving to the next debt. It is not a bad idea to request for a bank loan or even borrow money from friend; at least everyone finds themselves in situations of financial inadequacies. However, without a good debt repayment plan, you will end up cursing why you own someone in the first place. Tips in this post should henceforth help you manage creditors without running the risk of being blacklisted by lenders.